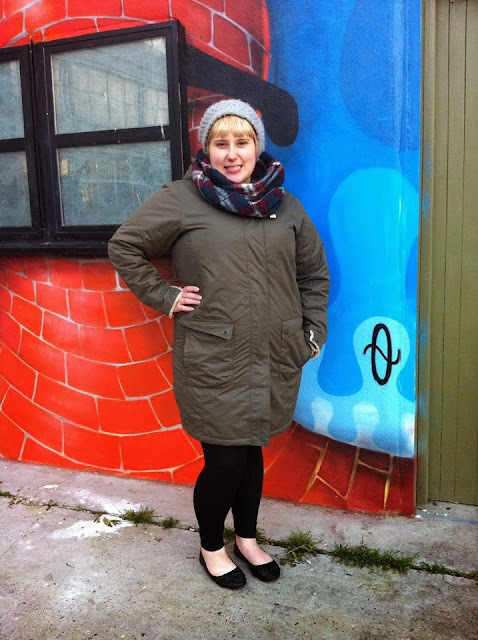 Toodaloo Katie: What I Wear in Winter! 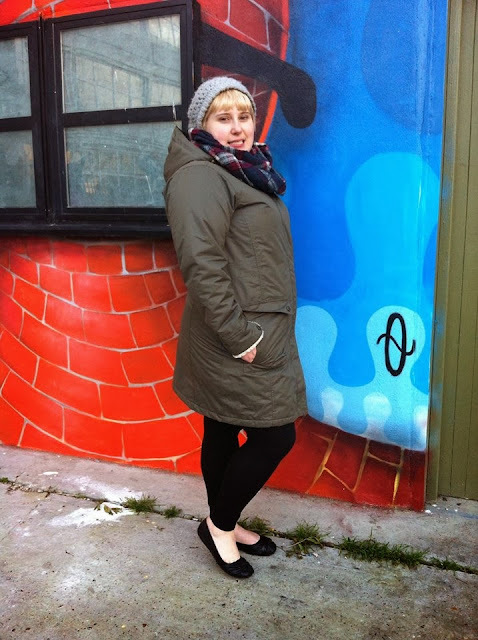 What I Wear in Winter! So this past week it definately dipped into being winter and it's here to stay from the looks of it. Now, apparently being Canadian means I am expected to be impervious to the cold, sporting t-shirts in below 0 degree weather... not! I have been hunting for a casual parka style coat for a while and have never quite found what I wanted, until just the other week. I was offered a coat of my choice from Marisota. I have never ordered from them before so I thought I would give it a go. I chose this Regatta coat, because I love the colour and the simple design (the photo online doesn't do it justice). I am so happy with my choice. It has double pockets, which I love because I am so paranoid about being pick pocketed, and a semi-furry lining and hood to keep cosy with furry cuffs that you can turn up or button tight in the wind. One of the best features is the zipper, which zips from the top and bottom. For anyone with a big bum, a long coat with a zipper poses a problem, as it is snug when you sit down, but with this one, you can unzip a bit on the bottom and sit down comfortably. It also prevents awful creases across the coat too. From the looks of it, it's been a really popular coat on the website and I would definitely recommend it. I am wearing a size UK20 and it is a true fit - I would say for those who are more bottom heavy, size up as it is cut straight. It will be even better when it gets really cold as it insulates well too. 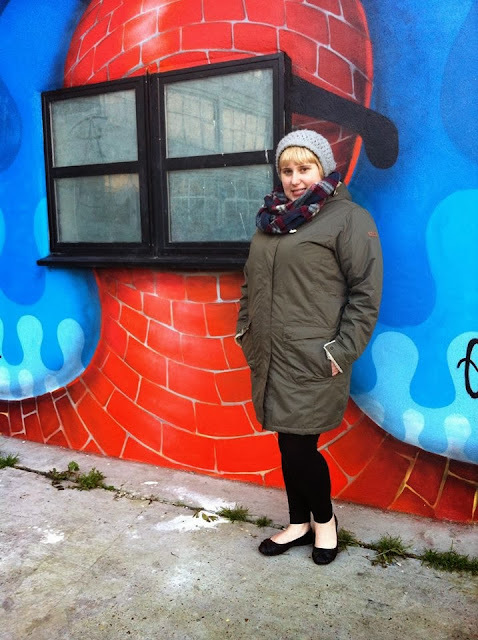 I paired it here with my favourite Primark plaid scarf and H&M knit hat. 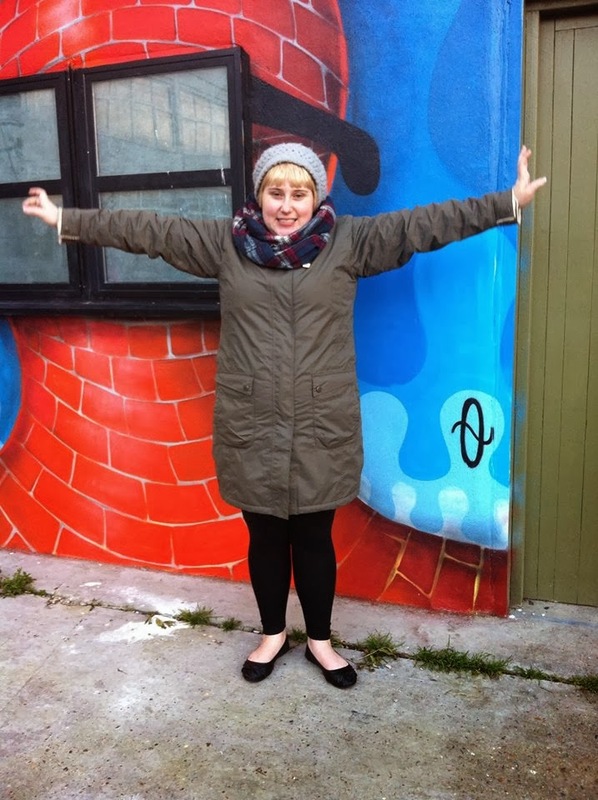 Thank you Marisota for the lovely coat! I will be wearing it all winter to keep warm and dry! What are you all wearing this winter? 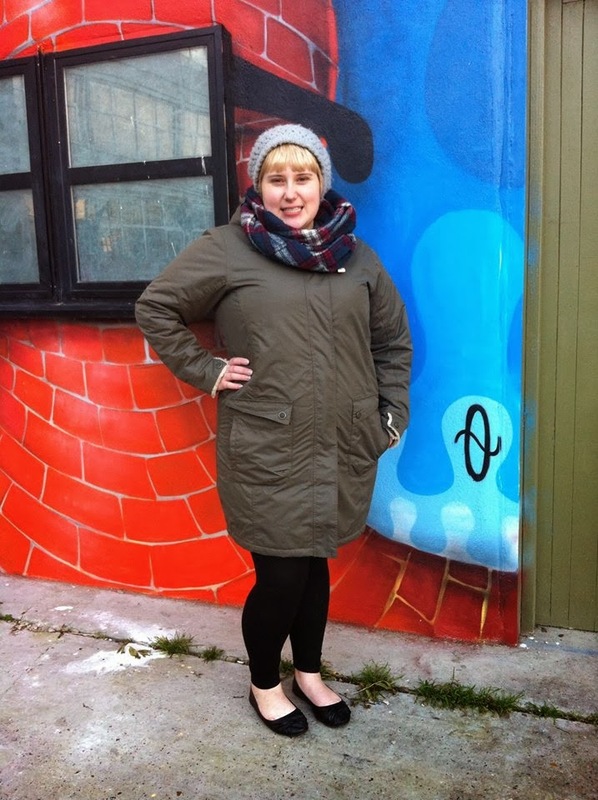 Stay tuned this week for an alternative to coats this winter, aimed at people who are always too warm!